The 2014 Fifa World Cup kicked off on Thursday and while watching games a certain question at the apex of sports and entertainment may have popped into your mind: So which one of these dudes is dating Shakira? You've probably heard that Shakira's boyfriend and father of her 1-year-old son, Milan, is a soccer player, you just might not know which one. 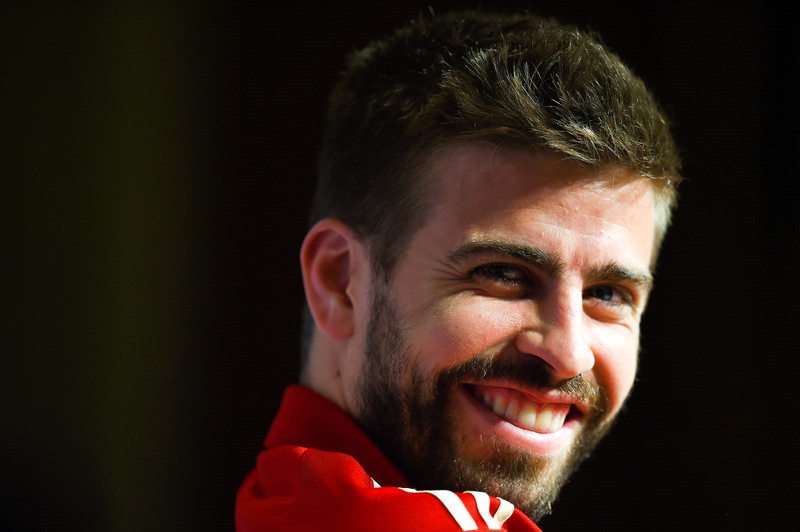 Well, Shakira is dating Gerard Piqué, a member of Spain's national team. Piqué is a defender and this year marks his second World Cup. He also played for Spain in 2010 when the World Cup was held in South Africa. In fact, Piqué and Shakira met when he was featured in her music video for "Waka Waka (This Time for Africa)", the official song of the 2010 competition. The World Cup must be a special time for Shakira and Piqué seeing as it is what led them to each other in the first place and, you know, because it's one of the most important parts of his career, so don't be surprised if you see Shakira in the crowd during Spain's games. These two definitely make a cute couple and are pretty fabulous with their whole we're-awesome-at-our-jobs-and-travel-around-the-world thing, so if you have a bit of spare time between goals (there's sooooo much time between goals), then take a minute and check out some of their most jealousy-inducing pics. And Another One Because, Why Not?